Most often girls participate in sports for different reasons than boys do. 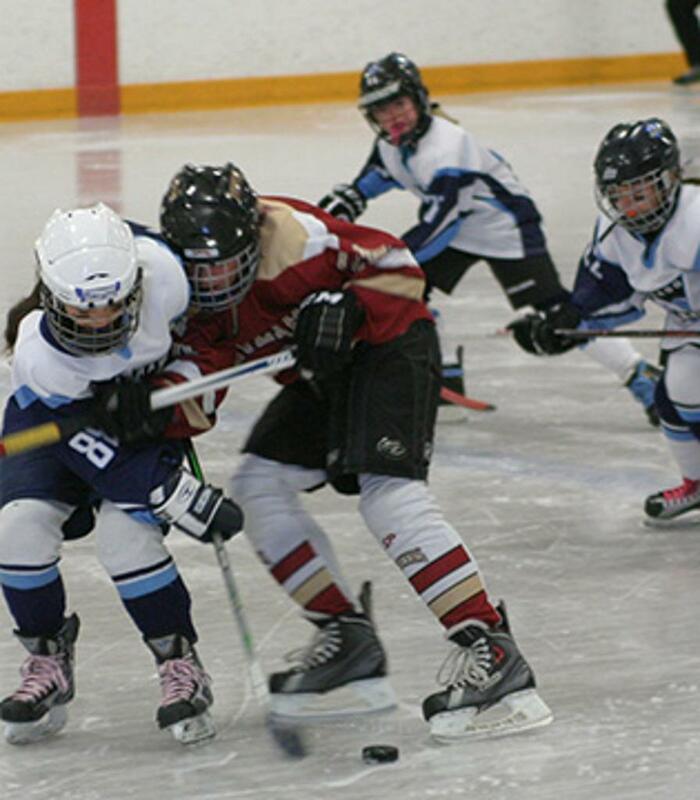 With hockey, there are endless benefits for girls playing a more physical sport. 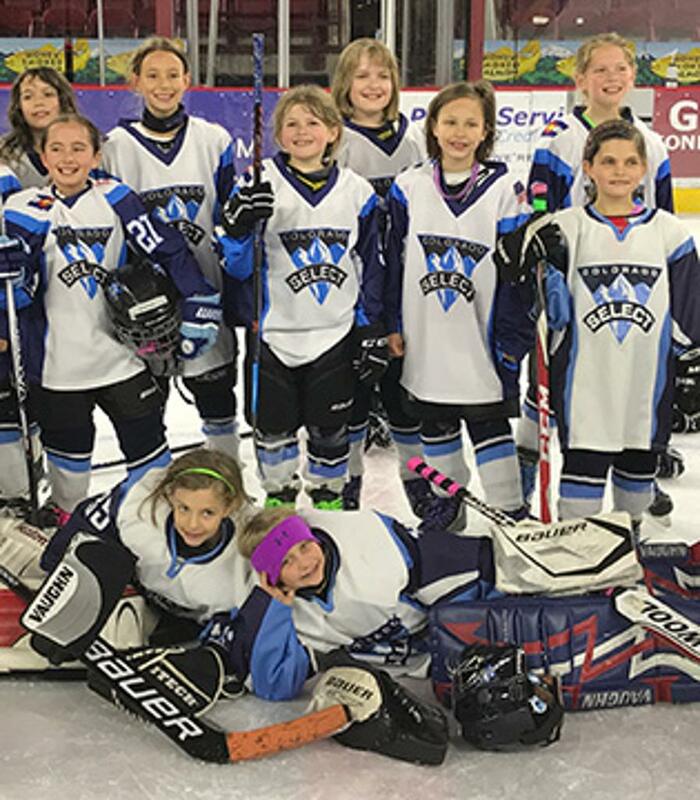 From socializing to personal achievements and physical fitness, girls are finding that the benefits of hockey are not only satisfying but enables them in their everyday lives. 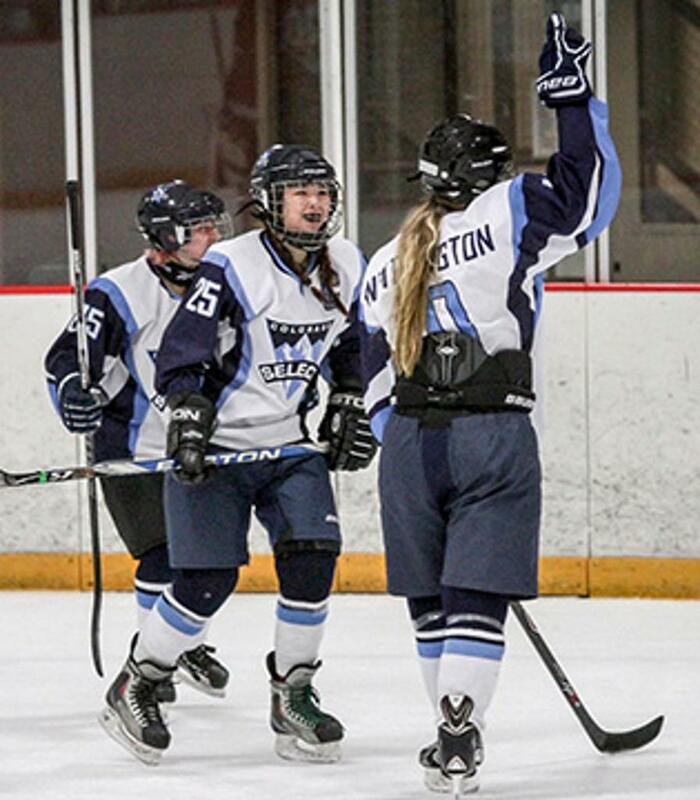 The Colorado Select Girls Program is the longest established girls hockey program in the western United States. If you want your girl to play hockey for life at the recreational level or if they have aspirations to play at a higher level, this is the place to bring them. 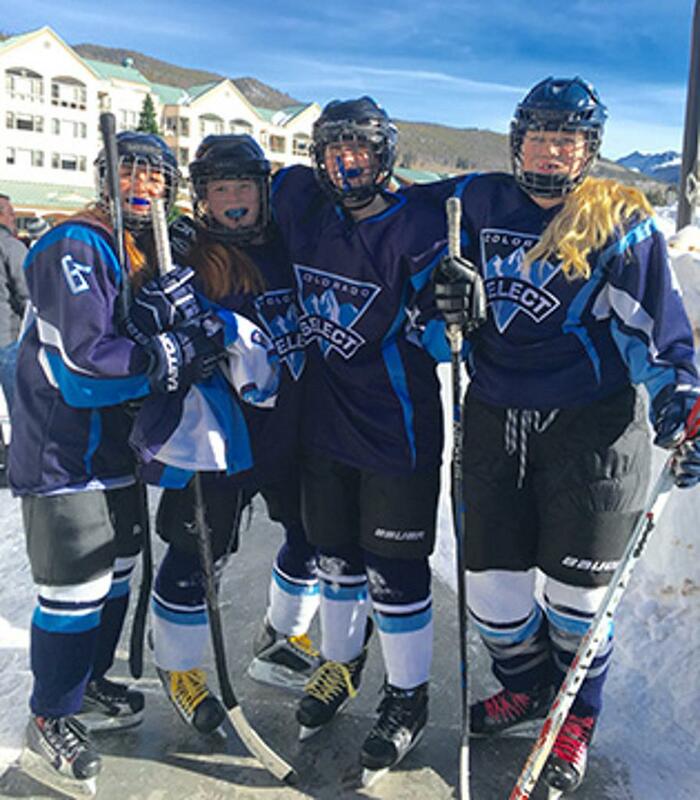 At Colorado Select, we provide girls the opportunity to develop to their full athletic potential in a well-organized, age-appropriate and competitive atmosphere to achieve their varied goals, mature and develop as young female athletes, and most importantly, have fun. Select is a USA Hockey ADM Model Association. This also separates us from our competition with training our girls using age-appropriate, age-specific station based high intensity practices. More information on USA Hockey’s programming can be found below in each age group's section. This program is replacing our former Test Drive program. The program is absolutely free for girls from the ages 6-14 years old. 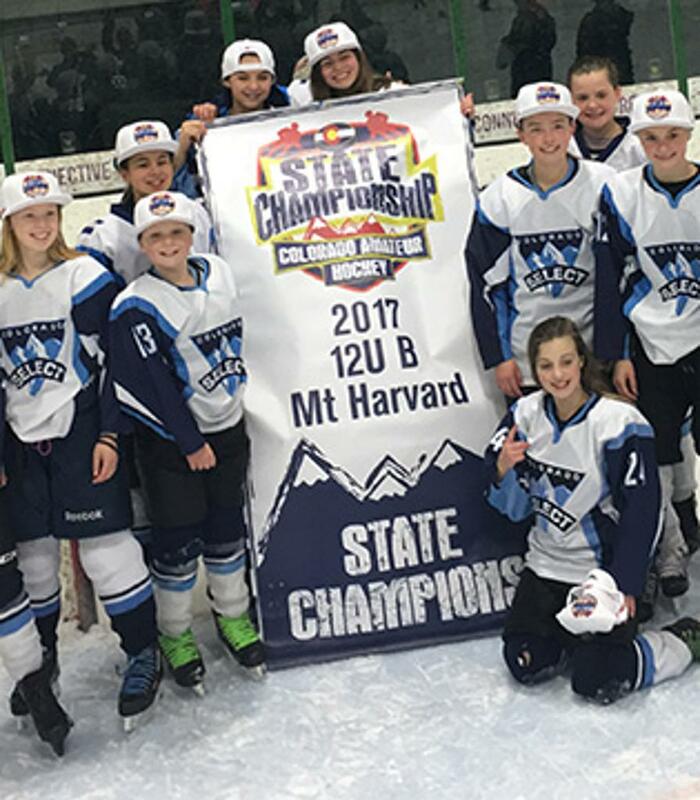 The idea of this program is to let girls and families try hockey to see if it fits for their family before making the financial commitment in becoming a full time Colorado Select Member. 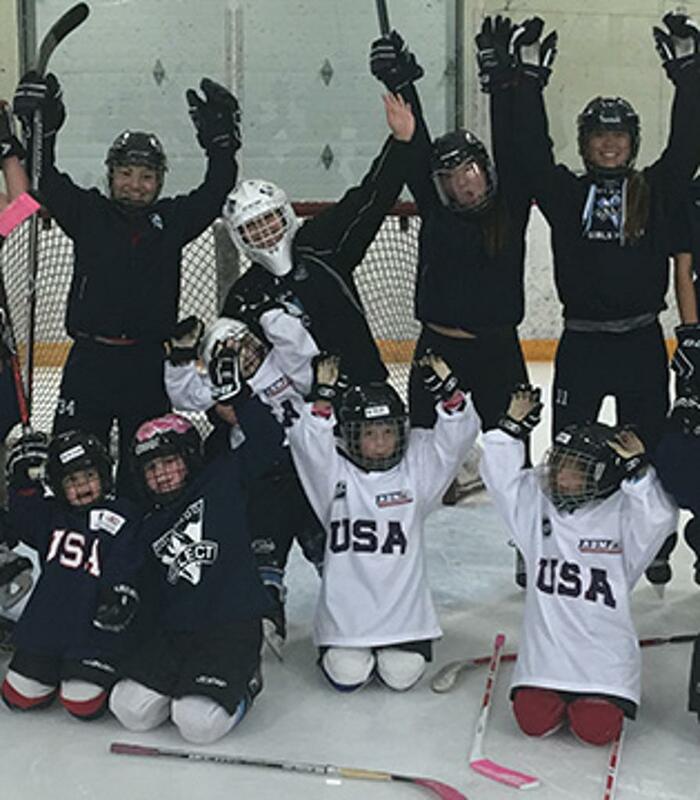 The 8 & Under Program is ran in accordance with USA Hockey’s American Development Model (ADM), specifically the Long Term Athlete Development (LTAD) FUNdamentals Stage. The objective of the FUNdamentals Stage is to refine fundamental movement skills and begin to acquire basic sports skills. This is the time when a foundation is laid for future acquisition of more advanced skills. The 10 & Under Program focuses on the Long Term Athlete Development (LTAD) Learn to Train Stage. The objective of the Learn to Train stage is to refine overall sport skills and develop sports specific skills. This is the period of accelerated learning of coordination and fine motor control and is the critical stage for the acquisition of hockey skills. At this stage participants are developmentally ready to acquire the sports skills that are the cornerstones of all athletic development. The Registration "Colorado Select Recreational Hockey Program" is not currently available. The 12 & Under Program is a continuation of the Long Term Athlete Development (LTAD) Learn to Train Stage used at the 10 & Under level. The objective of the Learn to Train stage is to refine overall sport skills and develop sports specific skills. The 14 & Under Program focuses on the Long Term Athlete Development (LTAD) Train to Train Stage. The objective of the Train to Train stage is to further develop sports specific skills, begin to introduce competition, and start to emphasize support training to continue development of speed, strength and stamina while maintaining flexibility. This is a window of accelerated adaptation to aerobic, speed and strength training, and for maximum improvement in skill development. As well, good training habits are developed during this stage. Technical and fitness training programs should be individualized. While formal competition is included, the focus remains on learning the basics through training, with competition being of secondary importance. The 19 & Under Program focuses on the Long Term Athlete Development (LTAD) Learn to Compete Stage. The objective of the Learn to Compete stage is to prepare athletes for the competitive environment, continue to refine technical skills, ancillary skills and develop the physical attributes. All the objectives of the Train to Train stage must be achieved before the objectives of Learn to Compete can begin. This is the time to optimize fitness preparation and skills and to begin to specialize in ice hockey. Training should be individualized to the athlete’s particular needs in skill development, mental preparation, fitness and recovery. During this stage, training volume will increase, as does training intensity. Competitions and tournaments become more important and the focus shifts to performance. Athletes learn to prepare for competition, and learn to handle competitive pressures in any situation.